About Us – Cocktail Culture Co. Wholly owned by 2nd Street Ventures, LLC: Cocktail Culture Co.’s cocktail workshop teaches you how to craft perfect cocktails with fresh squeezed juices, handcrafted syrups and exotic bitters. Shake, stir and muddle with a professional mixologist in the #1 cocktail class in Philadelphia. 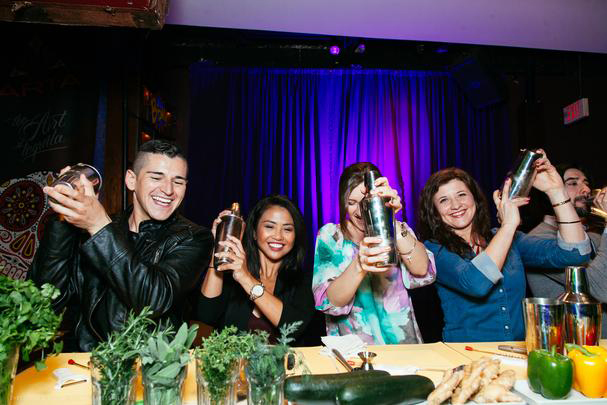 Our hands-on, interactive cocktail workshops are creative, educational and social – making it a perfect idea for date nights, birthday parties, bachelor parties, bachelorette parties and corporate team building events!